This commercial grade chair is strong but comfortable. 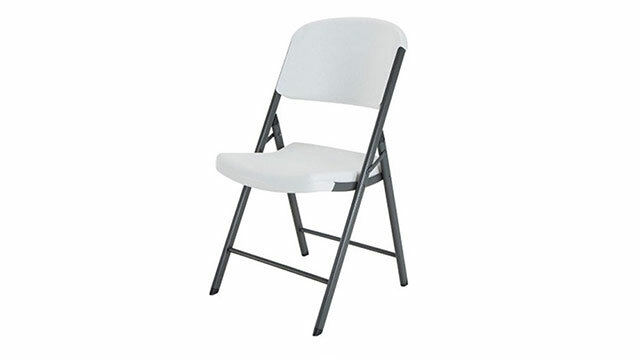 Our metal and plastic chairs are super sturdy but won’t get too hot in the sun like metal chairs. Great when you need a little extra seating for eating or relaxing to watch the fun. Cleaned and sanitized for every rental. This commercial grade Table will provide extra space for staging or eating. Great when you need a little extra room. Cleaned and sanitized for every rental. This commercial grade Table will provide lots of space for staging or eating. 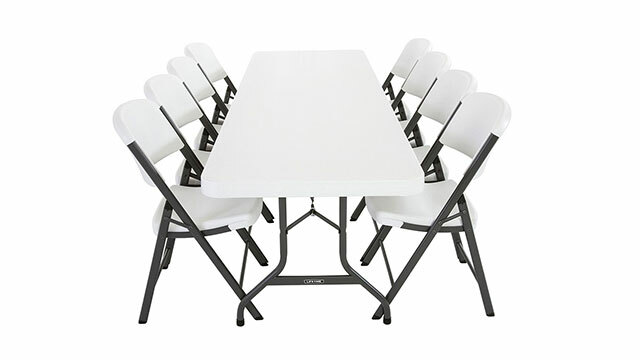 Our super sturdy 8 ft table is an extra 2 feet longer than the standard 6 ft rental table. Can comfortably seat 10. Cleaned and sanitized for every rental. This commercial grade Table and Chairs package will provide seating for 8 with lots of space. 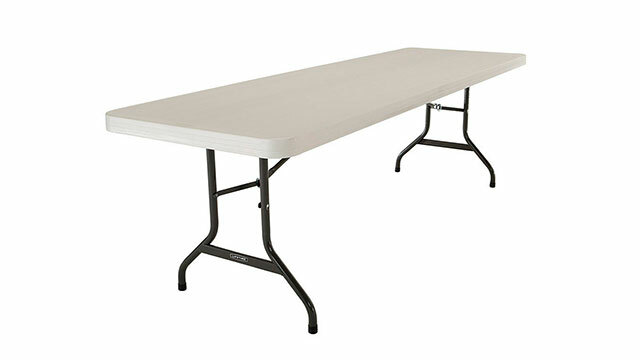 Our super sturdy 8 ft table is an extra 2 feet longer than the standard 6 ft rental table. No bumping elbows with this one! Our metal and plastic chairs are super strong but won’t get too hot in the sun like metal chairs. Add 2 extra chairs to the ends to comfortably seat 10. Cleaned and sanitized for every rental. Need a little extra juice? We’ve got you covered. Our industrial generator will provide hours of electricity in any location. 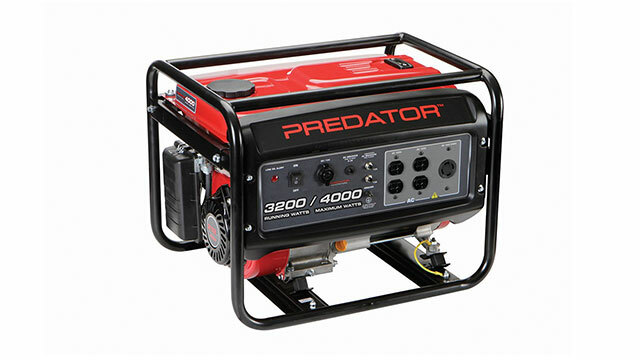 It provides 6 outlets and 4000 watts of peak power / 3200 watts of continuous power. It has four 120 volt, 20 amp grounded outlets, one 240 volt, 30 amp grounded outlet, and one 12 volt DC cigarette lighter port. Our rental cost includes 4 gallons of gas to keep you powered for up to 8 hours.